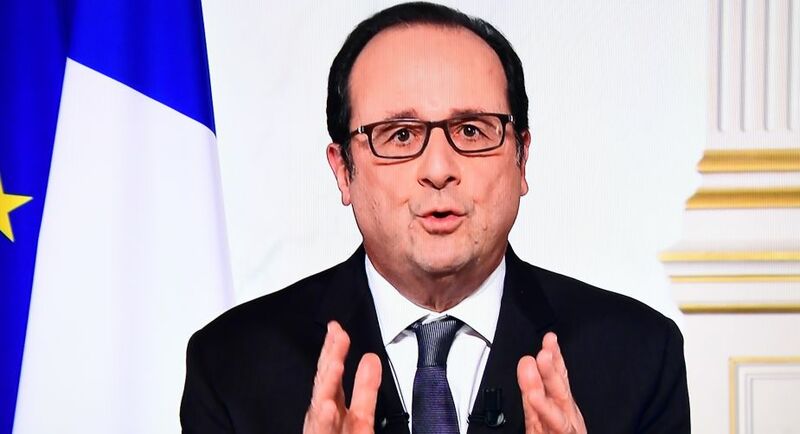 French President Francois Hollande on Saturday urged Europe to be "firm" in its response to new US President Donald Trump, who a day earlier called Britain's exit from the bloc a "wonderful thing". "When there are statements from the US president about Europe and when he talks about Brexit being a model for other countries, I think we must respond," Hollande told reporters the sidelines of a summit of southern EU nations in Lisbon. "When he adopts protectionist measures, which could destabilise economies not just in Europe but the economies of the main countries of the world, we have to respond. "And when he refuses the arrival of refugees, while Europe has done its duty, we have to respond," he added. "We must affirm our positions and then engage in a firm dialogue on what we think", with a goal towards solving global problems, the French president said. Trump is due to speak Saturday with Hollande, as well as German Chancellor Angela Merkel and Russian President Vladimir Putin. He has rattled America's traditional European allies with a range of radical policy plans. Trump has called NATO "obsolete", announced he would rip up a planned transatlantic trade plan and supported Britain's move to leave the EU, praising the decision during Friday's meeting with British Prime Minister Theresa May. On Friday he also signed a sweeping executive order to suspend the arrival of refugees and impose tough controls on travellers from seven Muslim countries.